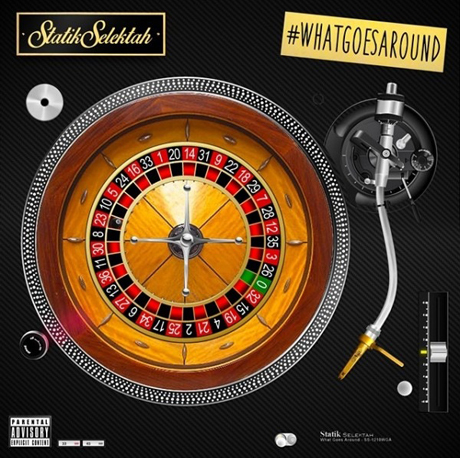 While there's just one day left before beatsmith Statik Selektah issues his guest-heavy What Goes Around LP, the New York producer is giving out one last sneak preview before the album hits store. This time, we've got Snoop Dogg, Wais P, Ranson and CharlieRED jumping on "All the Way (Pimp Hop)." Working in his milieu, Statik delivers a loop built around booming, tom tom-rumbling breaks and '70s soul piano. Snoop notes he's about to explode on the track, bringing sexed-up lines to the track about putting it on smash. Wais P name-checks the Doors' Jim Morrison and reveals he's more of a money-lover than a romeo. Ranson discusses first class heathens, spending time on yachts and, regrettably though in tune with the theme, being a violent pimp. What Goes Around arrives tomorrow (August 19) through Show Off/Duck Down.